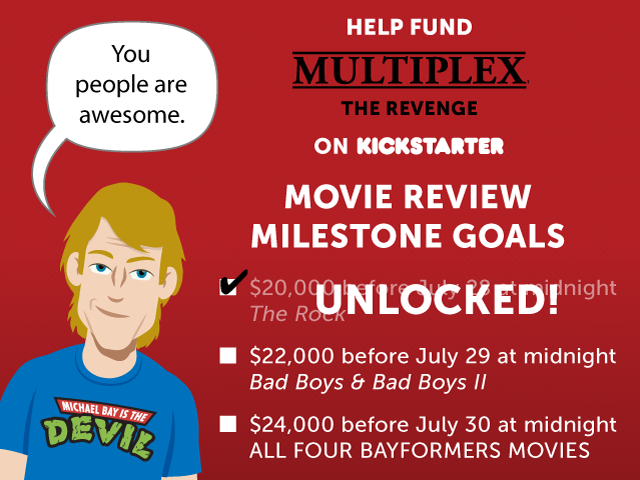 We met BOTH milestone goals (last night and today), which also means Multiplex: The Revenge has passed its funding goal! There’s still a little time (before 9PM Central on Friday) to add your pledge, if you want to get in on the action, but I’ll be using BackerKit so that Kickstarter backers can upgrade or add onto their pledges and non-backers can pre-order the book or other items that are available as rewards. More on that in the next few days, though. By hitting the goal, we have plenty of funds for Book Three’s print run, so any additional funding will go toward Book FOUR… which, again, I’ll tell you more about later. 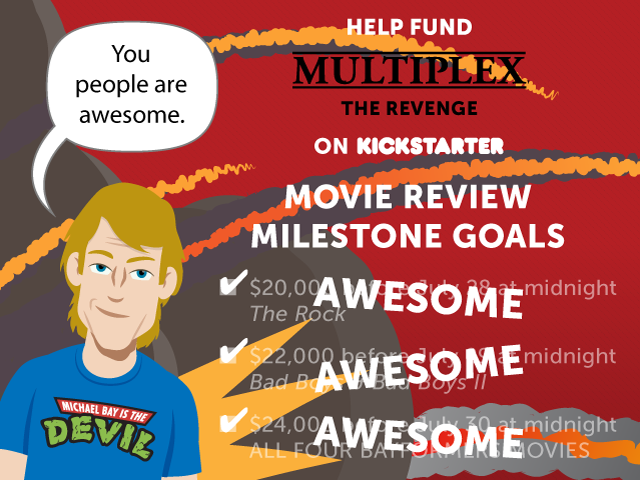 We are in the last few days of the Multiplex: The Revenge Kickstarter project! Thanks to a veritable onslaught of pledges (and pledge increases!) yesterday, things are looking less grim than yesterday: we’ve just passed 80% of the funding goal! This means there is less than $5000 to raise — but only three and a half days to do it in. UPDATE (July 28 at 6:45pm): The Rock is UNLOCKED! This is the final version of the Multiplex animated short I made for my Animation class this semester. No promises, but hopefully this will be the first of many! Thanks (again) to Matt Matonich for providing the voice of Kurt! Some of you will recognize Jason’s final line as a title of Multiplex #285, so I’m sort of recycling something here, but not really. In any case, Jason and Kurt being in red vests is an indication that these shorts take place outside of current Multiplex continuity. 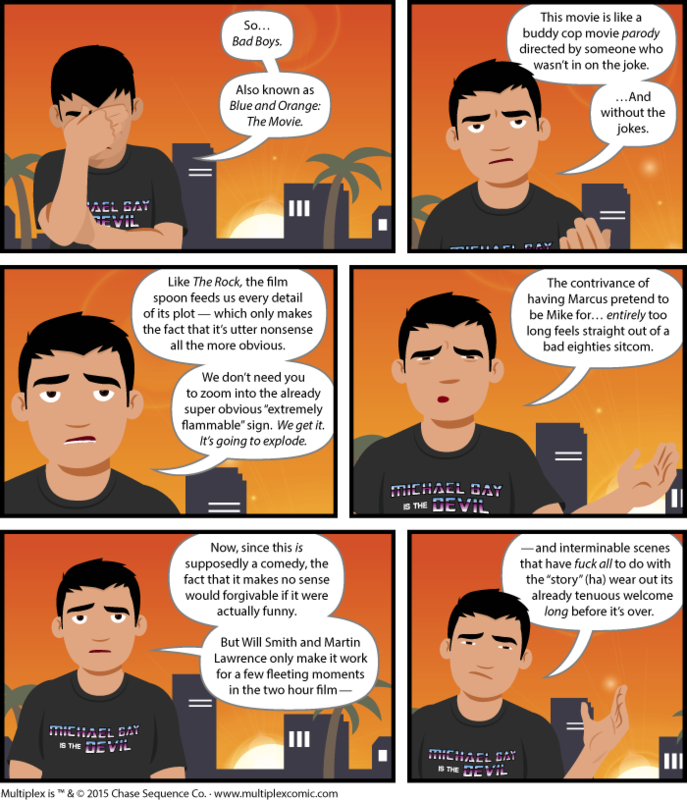 If you enjoyed this short, support the Multiplex Patreon and I’ll do more over the summer!